We here at KEA believe that everyone has a responsibility to not only look after our environment but to leave it better than we found it. Living in Australia has a considerable number of advantages. Just two being that it’s a very safe country in which to travel and that there are plenty of spectacular places to visit. Of course, many are in remote locations and often without too many people around – preferably. Is it really being selfish? Wanting to keep the best places for ourselves - especially our favourites, the ones we 'personally' discovered. However, that’s often far from reality because all the most desirable places are very popular. That one fact introduces all kinds of environmental pressures on many locations – from the stunning and fragile Barrier Reef to the amazing beauty of the Flinders Ranges. The challenge for all of us is to preserve those places we love so much, not only for ourselves but for subsequent generations. We here at KEA believe that everyone has a responsibility to not only look after our environment but to leave it better than we found it. While that might sound obvious sometimes it can be very hard to achieve. Here’s just one example. We all know that fossil fuels are not going to last forever and one way of prolonging the time before they run out is to increase the number of electrically-powered vehicles on the road. However, where does the mains electricity required to charge the batteries come from? In Australia, mainly from coal-fired power stations which are responsible for a great deal of carbon emissions. Climate change debate anyone? Still, while that might make it sound all too hard, we believe that each of us can still do our little bit. Starting with a motorhome, there are a number of little ways to make it more environmentally friendly. With your current rig there are simple things like keeping it in tip-top mechanical condition, perhaps unloading little-used items to reduce weight and even polishing the body for smoother airflow. The last few years have provided plenty of advances in battery capacity, solar panels and low-energy LED lighting – all a relatively easy retrofit. 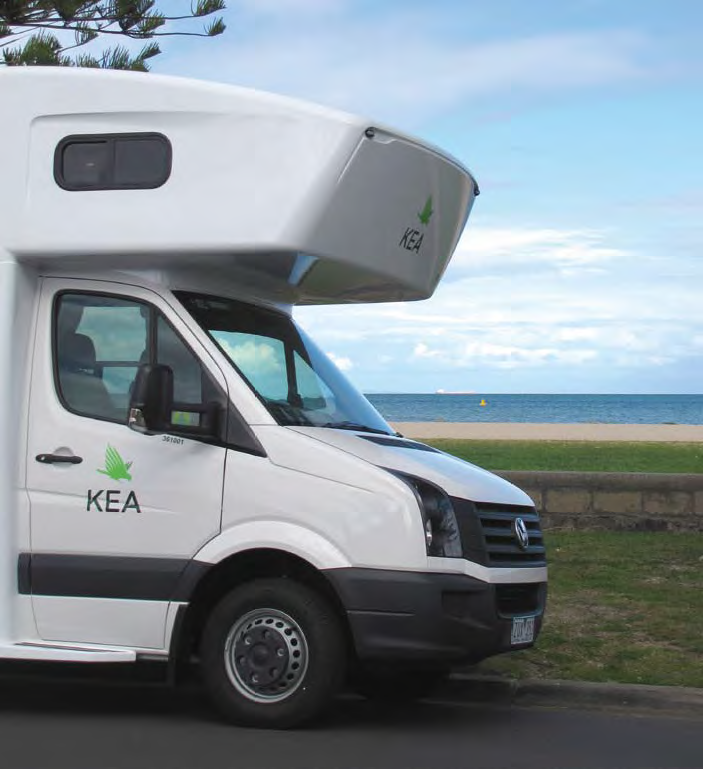 New motorhomes often have those items already installed and diesel engine technology has improved dramatically over the last few years in terms of fuel efficiency, power output and reduced emissions. Out there in the wider world, treading lightly, taking our rubbish with us and leaving no trace have become vital. For instance, despite there being plenty of camping areas throughout Australia where grey water is used to water the grass, in the future that might become more restrictive. Recent rally attendees can testify there are a number of places where grey water cannot be dumped and the tank outlet has to be kept closed. Generally speaking, just about all motorhomes and fifth-wheelers built in the last 10 years will have a grey water tank installed. However, for some reason, caravans do not – in the future that might present a problem for owners of caravans that are fitted with full-sized bathrooms and washing machines. Still on waste water tanks – grey and black – choosing your chemicals is no longer a simple matter. Some are definitely more environmentally friendly than others and some have adverse affects on dump tanks. Sadly, although very cheap, homemade mixtures often fall into the latter category. All of the above is certainly something none of us can ignore, which is why KEA is keen to support the CMCA’s Leave No Trace initiative and sponsor the Dump Point Subsidy Scheme. We believe that by making it easier for you to dispose of grey/black water in the right place, it’s a great incentive for doing the right thing. Keeping Green? It’s certainly a challenge but with some careful thinking we can all do our little bit to help.